Each year the Alumni Association Board of Directors awards the Br. Patrick Ellis Scholarship to La Salle students who require financial need. The Brother Patrick Ellis Scholarship has been given out annually since 1990. The Scholarship is named after La Salle’s 26th President, Brother Patrick Ellis who served from 1977-1992. Consideration for this scholarship shall be given to all full-time undergraduate students in their sophomore, junior or senior year. Students must be actively involved, and in good standing, with at least two student activities/organizations. Students must also have a minimum grade point average (GPA) of 3.0 and unmet need as determined by the Office of Student Financial Services. The prospective candidate shall also complete the current Free Application for Federal Student Aid (FAFSA) form to determine the student’s financial need. 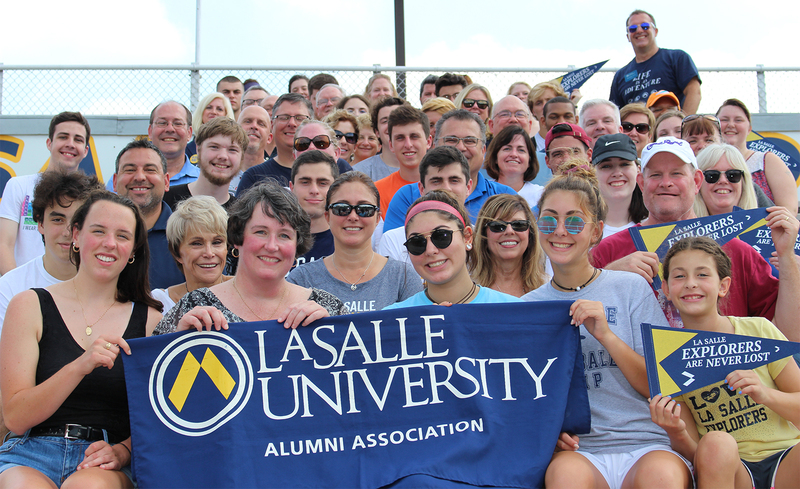 Funded by the Alumni Association, direct descendants (son, daughter, grandson, granddaughter, great-grandson, or great-granddaughter) of La Salle alumni will receive a $1,000 per year scholarship. 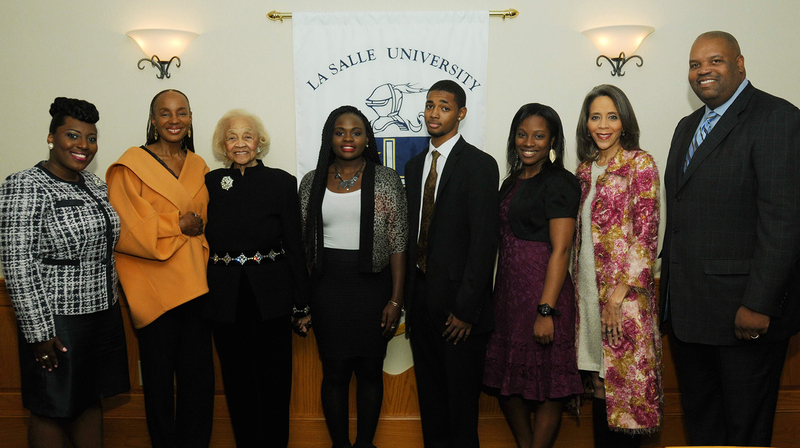 La Salle University’s African American Alumni Association proudly presents student scholarships in memory of Warren E. Smith, M.D., ’54. The Warren E. Smith, M.D., ’54, Scholarship supports full-time African American La Salle University students who demonstrate financial need, meet or exceed academic standards, make significant contributions to the community, and serve as outstanding examples to their peers. This endowed scholarship is a natural outgrowth of the African American Alumni Association Dinner and was made possible by the generosity of Dr. Smith’s family and former La Salle University Board of Trustee members Leon Ellerson, ’56, and Walter Lomax, M.D., ’53.